The problem is, the bible isn’t inerrant. There are numerous historical and scientific inaccuracies, not to mention the countless times it contradicts its own witness. Since so many others have already exhaustively combed the bible for errors, I’ll simply direct you to their work rather than rehash it all here. The Skeptic’s Annotated Bible has taken great pleasure in pointing out these discrepancies. Infidels.org attempts to identify inconsistencies with a little less snark. Or do your own Google search. You’ll find no shortage of sites that gleefully poke holes in biblical inerrancy. They come across as obstinate and willfully ignorant. And since they dominate the Christian narrative in secular America, all Christians are painted with the same brush. They discount the Christian voice in matters of public discourse. Why discuss anything with someone who already has THE TRUTH and whose only goal is to convince everyone else that they’re right? They limit God’s work in the world. Yes, holding that the bible is incapable of being in error greatly limits and restricts what God can do at any given moment. When they were on their way to the promised land after being rescued out of Egypt, the Moabites treated the Israelites with open hostility. As a result God decreed, “No Ammonite or Moabite shall be admitted to the assembly of the LORD. Even to the tenth generation, none of their descendants shall be admitted to the assembly of the LORD, because they did not meet you with food and water on your journey out of Egypt, and because they hired against you Balaam son of Beor, from Pethor of Mesopotamia, to curse you.” Deuteronomy 23:3-4 (NRSV). This is an actual decree from God, not poetic language misappropriated. It’s also pretty clear. Skip ahead to the book of Ruth. The Israelites have settled in the promised land after evicting its former inhabitants. It was the time before the kings, when the judges ruled. There was a famine, and a man and his wife left Judah to seek refuge in Moab, along with their two sons. Presumably they did pretty well there. The sons grew up and married Moabite women. Did these sons sin by marrying women who were prohibited from entering the assembly of the Lord? Who knows? Maybe they didn’t anticipate returning to Judah, and thought it didn’t matter. In any case, both the sons and their father died in Moab, and Naomi, the man’s wife, decided to return to her home. At first both her daughters-in-law wanted to accompany her, but she encouraged them to return to their own families of origin. One did, but the other, Ruth, insisted on remaining with her mother-in-law. Back in Judah, Ruth went to work supporting her mother-in-law. Eventually she caught the eye of a wealthy landowner named Boaz, a relative of Naomi’s (thus he must have been an Israelite of Judah, too). They married. Again, maybe it was a sin, maybe it wasn’t. People break God’s laws all the time in the bible, and God seems a lot less concerned about most of those infractions than some modern-day Christians seem to believe. Regardless of what God’s people do, however, what matters is that God will not accept a Moabite in the Lord’s assembly, even to the tenth generation. There is room for debate whether or not the eleventh generation descendant would be permitted. Boaz and Ruth had a son named Obed. Obed had a son named Jesse. Jesse had a son named David. David was that David. King David. The king of Israel who set the standard for all future kings, whose line from which Jesus himself descended. And he became king because God directed Samuel to find him. And David was a fourth generation Moabite. The usual justification for discrepancies in the Old Testament is that the New Testament makes much of the Old Testament obsolete. (That opens a whole other can of worms about which parts of the Old Testament can be ignored and which parts still apply, but I digress.) That justification doesn’t stand here, since Ruth and David came along well before Jesus, and therefore the whole of Old Testament law was still in full effect. Imagine if Samuel had been a staunch defender of biblical inerrancy. He would have refused to anoint David as king, because the bible clearly states that no Moabite, even to the tenth generation, shall be admitted into the assembly of the Lord. Samuel would have been utterly convinced that he was misinterpreting whatever means God was using to communicate God’s choice, because the bible said God couldn’t favor a fourth generation Moabite. So was God in error when he pronounced that no Moabite would be admitted into the assembly of the Lord? Or was God in error when he directed Samuel to anoint David and put him in a position of such high authority and esteem over the assembly? Or perhaps God’s actions aren’t limited to what the bible says they should be? If that’s the case, in what other ways might God act? Who might God choose to bless, even though the bible clearly says they should be cursed? Where might God choose to show mercy and compassion, even though the bible indicates that such populations should be kept at arm’s length until they change their ways, because as they are they are unacceptable to the Lord? The bible points to God. The bible is not God. Faithfulness to the bible is not more important than faithfulness to God. When we approach the bible we must do it with humility and with the understanding that it was penned by many people over the span of nearly a thousand years, in a variety of historical, social, and cultural contexts, each with their own intellectual and imaginative limitations and assumptions. Only then can we begin to discern how people have understood God and how God has chosen to reveal himself over the millennia. The God of the ages is much bigger than the bible. Accept the bible for what it is, recognize what it isn’t, and serve God on this day, in this place, in the midst of this culture. This subject fascinates me. I was brought up a Unitarian for the first 8 yrs of my life and then my parents decided no church at all. 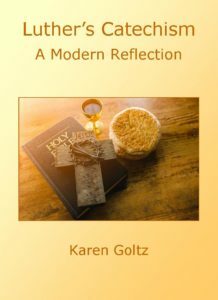 My mother, however opposed to religion she was, was very interested in the historical context of the Bible and how other religions had similar stories. I spent my formative years hearing comparative religion quite regularly (mostly Judeo-Christian but a little Buddha, and Mohamed thrown in). I thought everyone thought like that. It was a shock in my teen years and later to find out my friends thought this was heretical! I had a few Born-again fundamental Baptist friends who believed the Bible was infallible and Catholic friends who didn’t believe the Bible was the Word but Doctrine was infallible. What a shock. When I was about 11 someone gave me a “Living Bible”. I read through the OT, hit a particularly boring part with lots of lists and stopped. Over the years I have tried to read it like a book a few other times and I swear I stop about the same place every time. Meanwhile I taught confirmation (a story for another day), participated in Advent and Lenten Bible studies and read the different lessons in a more directed way. I can’t say I would ever be able to quote all the discrepancies but after trying to ponder a few I gave it up as a bad job. I decided the best way to look at things is to read what the message is. What does it sound like I am supposed to learn? Every time I read a passage it tells me something different so that must be what I am supposed to learn that day. Last week I ran into someone in the grocery store and we had a conversation about belief. She has a family member who is very ill and she is waiting for “the Healing” which she knows will come. She is a true believer and God answers prayers. She is a literalist who has very little knowledge of how the Bible came to be, the history behind it. She has a Pastor who preaches the Truth. There is only one Truth. All she knew was it is “the Truth and the Way”. She had no idea the Bible was written over many years, that it wasn’t standardized for centuries. When I mentioned this in the conversation she was stymied. How is there one “Truth” that is static? Read any one passage in the Bible and ask 10 people what it means. There will not be one exact answer but 10 answers.